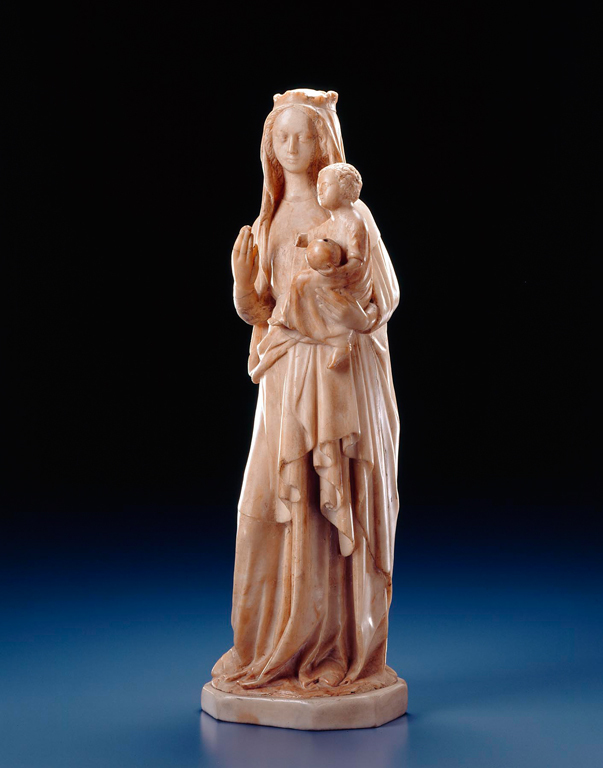 This sculpture of the Virgin and Child is an excellent example of carved alabaster-a fine-grained, relatively translucent stone that polishes well and is rich in color. Alabaster and ivory were especially valued for their inherent beauty, and sculptures made from these materials were usually left partially or wholly unpainted, as are the examples in this display case. Winters, Laurie et al. A Renaissance Treasury: The Flagg Collection of European Decorative Arts and Sculpture. New York: Hudson Hills Press, 1999, p. 118, cat. 55, color illus. 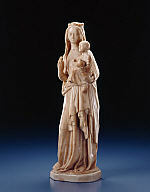 Medieval Art from Private Collections, The Metropolitan Museum of Art, The Cloisters, 1968–69.